Mumia Abu-Jamal is a Peabody award winning journalist who smashed a ring of corrupt police. Just a few months later, he was arrested, tried and convicted (by an all-white jury). The charge: killing a cop. 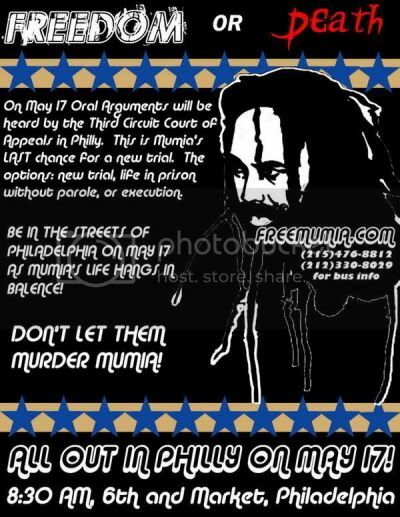 Mumia is innocent, and he embodies everything good about the American Free Press. His final chance at freedom is approaching. If he is not granted pardon, he will either be executed, as he is on death row, or he will spend the rest of his life in a cage.